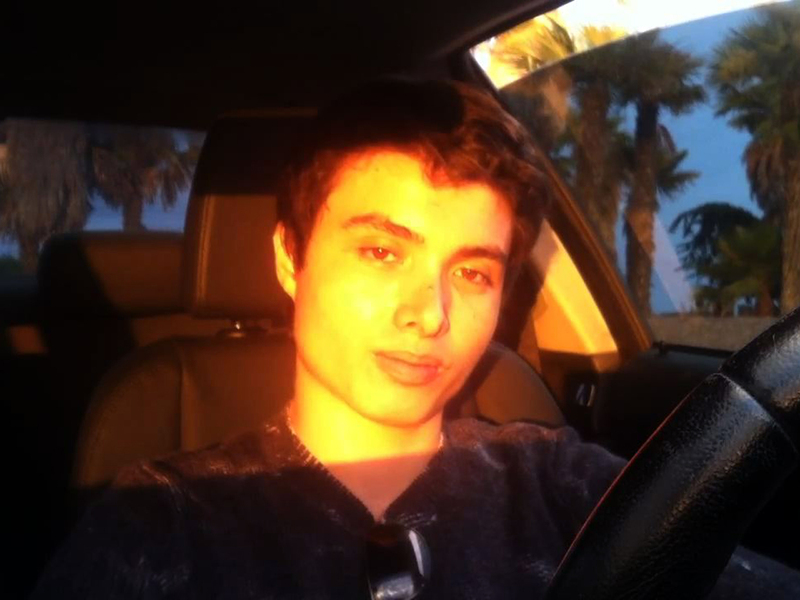 Law officers who visited Elliot Rodger three weeks before he killed six college students near a Santa Barbara university were aware that he had posted disturbing videos but didn't watch them, and they didn't know about his final video detailing his "Day of Retribution" until after the deadly rampage, officials said. The disclosure in a Santa Barbara County sheriff's department statement on Thursday corrected an earlier assertion that deputies were unaware of any video when they checked on him on April 30. The statement also provided new details on the sequence of events during that pivotal visit to Rodger's apartment, a time when he was plotting the rampage ended with him apparently taking his own life. The guns he used in the killings last Friday were stashed inside his apartment at the time, but police never searched the residence or conducted a check to determine if he owned firearms because they didn't consider him a threat. The statement does not explain why the videos were not viewed or whether the deputies knew anything about the contents beyond a description of them being "disturbing." The sheriff's department also revealed new details about the timeline leading up to the killings. It said Rodger uploaded his final video to YouTube detailing his "Day of Retribution" and stating his plans and reasons for the killings, at 9:17 p.m. on the day of the shootings, May 23. One minute later, he emailed a lengthy written manifesto to his mother, father and therapist that also detailed his plans and contempt for everyone he felt were responsible for his sexual frustrations and overall miserable existence. The first gunshots were reported at 9:27 p.m. The rampage was over and Rodger dead just eight minutes later. It was another half hour before the therapist saw the emailed manifesto and 11 more minutes until the sheriff's office was contacted at 10:11 p.m. Authorities contacted Rodger's mother and learned about the manifesto and the "Retribution" video. Deputies wounded Rodger during two separate shootouts as he sped through the unincorporated beach community of Isla Vista, near the University of California, Santa Barbara, leaving a trail of bloodshed that ended with Rodger apparently shooting himself in the head before crashing his black BMW into a parked car. Thirteen people were injured - eight from gunshot wounds, four from being hit by his car and one who suffered a minor injury. The timing indicates that Rodger stabbed to death three people in the apartment sometime earlier -- his two roommates and a third man who might have been another roommate or a visitor at the time of the attack. Rodger wrote in the manifesto about the April 30 visit by the deputies and said it prompted him to remove most of his videos from YouTube. He re-posted at least some of them in the week leading up to the killings. He wrote that the deputies asked him if he had suicidal thoughts, but "I tactfully told them that it was all a misunderstanding and they finally left. If they had demanded to search my room that would have ended everything." According to the statement from the sheriff's office, four deputies, a police officer and a dispatcher in training were sent to Rodger's apartment after being informed by the county's mental health hotline that Rodger's therapist and mother were concerned about videos he posted online. The visit lasted about 10 minutes, during which officers found him shy and polite. The deputies questioned him about the videos. Rodger told them he was having trouble fitting in socially and the videos were "merely a way of expressing himself." Family friend of UCSB shooter: "He was the loneliest person I had ever seen"
Like many other states, California has a law intended to identify and confine dangerously unstable people before they can do harm. It allows authorities to hold people in a mental hospital for up to 72 hours for observation. Because the deputies concluded Rodger was not a threat to himself or others, they never viewed the videos, searched his apartment or conducted a check to determine if he owned firearms, the statement said. That sequence of events is different from a statement Sunday from spokeswoman Kelly Hoover, who said "the sheriff's office was not aware of any videos until after the shooting rampage occurred." In a typical mental-health check, only two deputies would be dispatched. But deputies who were familiar with Rodger as a victim in a January petty theft case were in the area and also decided to go to his apartment. Hoover did not respond immediately to an email seeking more information on why the deputies didn't watch the videos, the content of the videos and what specific information was relayed from the mother that prompted the check at his apartment. Criminologist Jeffrey Butts told CBS News that that Rodger's ability to remain composed likely diminished any concern. "Law enforcement officers are not trained to interpret someone's behavior or determine whether there is a mental health issue," Butts told "CBS This Morning." Still, Butts - director of the Research and Evaluation Center at John Jay College of Criminal Justice in New York City -- does not believe that allowing officers to enter a home is the answer, but acknowledges cracks in the system. "We try to protect civil liberties, we try to protect the freedoms we all enjoy, while also creating a safety net or buffer for people who are in trouble," said Butts. "We're just not very good at it." Rick Wall, a retired Los Angeles police captain who created the agency's procedures for responding to people with mental problems, said that law enforcement officers need to look at all the available evidence when conducting investigations. "Not that the final conclusion that they made on that day would have been any different, but something could have changed," he said. The visit with Rodger was brief, but Wall said the amount of time they spent talking to his mother was critical in determining why she was concerned about him, while gathering details of his medical history and past behavior. That information isn't known. "That's going to be the telling piece and where you're going to get the breakdown on the guy's story," Wall said. "Talking to somebody for 10 minutes, you may or may not get the ability to conduct a proper evaluation." Rodger's parents issued a statement Thursday through family friend Simon Astaire, saying they were "crying out in pain" for the victims and their families. "The feeling of knowing that it was our son's actions that caused this tragedy can only be described as hell on earth," the statement said. "It is now our responsibility to do everything we can to help avoid this happening to any other family - not only to avoid any more innocence destroyed, but also to identify and deal with the mental issues that drove our son to do what he did."